Defending champion Ichi Ban has won the 60th Brisbane to Gladstone Yacht Race. Skipper Matt Allen and his crew sailed the modified Volvo Globe race sloop to take comfortable line honours at 10.34am (AEST) in 23 hours 25 minutes and 50 seconds. The battle continues at sea between the smaller Sydney sloops Quantum Racing and Wot Yot for the minor line honours places. This will not be a comforting realization for the International 14 sailors who struggled to keep their boats upright during Saturday's windy conditions at the 2008 Sperry Top-Sider San Diego NOOD Regatta. Charlie McKee, who skippered a borrowed boat to a dominating win in the 16-boat class, hadn't sailed an International 14 in nearly a decade until the day before the event. After today's short 30-minute "Medal Race" in each of four Olympic classes (Laser, Laser Radial, Star and Yngling), US SAILING's Rolex Miami OCR officially concluded. 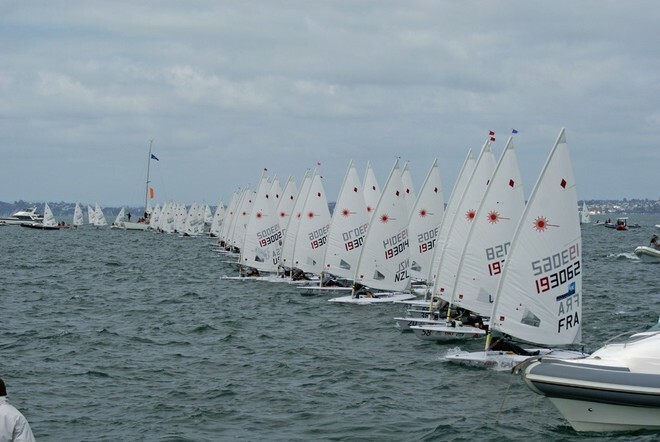 The regatta, an ISAF Grade 1 world ranking event that attracts elite sailors as well as up-and-comers, hosted 369 sailors from 34 countries and yesterday crowned champions in three Paralympic classes (SKUD-18, Sonar and 2.4mR). The awarding of gold, silver and bronze medals in those classes were based on scores from fleet racing that began last Monday for everyone; however, because of a new sailing format that will debut at the 2008 Olympic Games in Qingdao, China, the Olympic-class sailors stayed on for an extra day. Fleet racing scores determined these classes' top-ten sailors, who then advanced to the medal-racing round, which counted double in the scoring and acutely effected strategy plays for medals. A difficult day four at the Finn Gold Cup for Dan Slater. The New Zealander tied for the overall lead with four-time World Champion Ben Ainslie. Two races sailed Sunday in the Finn Gold Cup, [and] brought the regatta favourites close together. The fastest boat in the Barcelona World Race over the last 24 hours has been Temenos II, who have taken advantage of stronger conditions to add to their narrow lead over Mutua MadrileÃ±a. Temenos II has made good 358 miles over the last 24 hours, 87 more than the Spanish boat chasing them. Light winds made the going slow for most of the approximately 300 boats in the Chicago Yacht Club's 99th annual Race to Mackinac, which began Saturday morning. Emirates Team New Zealand earned an incredible win in Race Three of the 32nd America's Cup to take a 2-1 lead in the Match. The Kiwis came from behind on the final run to overtake Alinghi and win the race by 25 seconds. The results are in for the October 9, 2005-Race 2 of the GLYC Fall Series. Attached is a picture of Black Ice (GLYC) and Clifford BRD (NSSC) ready to round the windward mark. 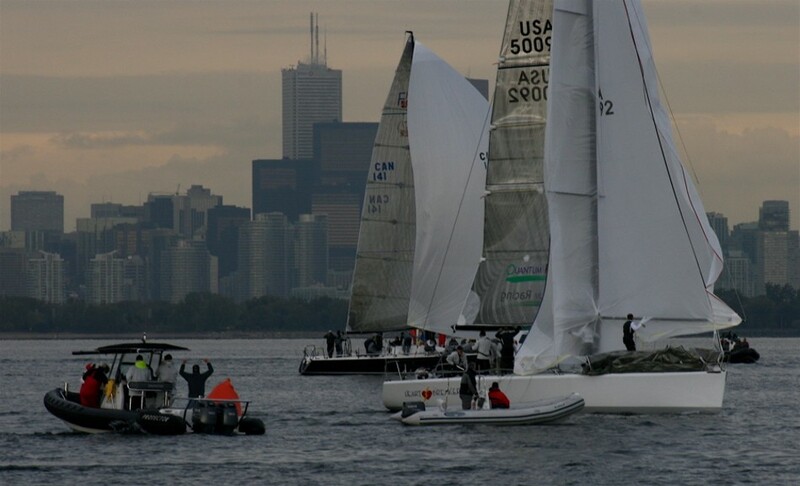 It was a brisk, really clear fall day with winds in the 15-20 range, so different than Race 1 last week where winds were light and the air was warm.. See the results of this race, series standing and more pictures at http://www.greatlakesyc.org/racing.html. Photo by Tom Verbeke.